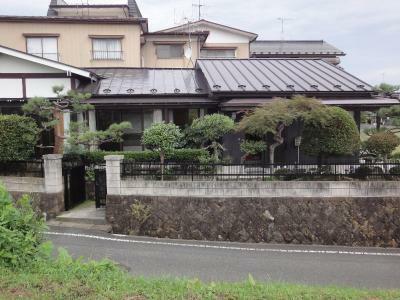 Lock in a great price for Minpaku Hiraizumi - rated 9.8 by recent guests. The hosts took every opportunity to make us feel happy and comfortable during our visit to Hiraizumi. They really went the extra mile to make sure we had what we needed and enjoyed the scenic area - they even accommodated our vegetarian needs and made sure we caught our train in the morning! We couldn't be happier with our stay. It was a delight to stay here - from the welcome sign at the gate to being taken to station in owners private car when we left. I highly recommend staying here for a Japanese experience in lifestyle, delicious breakfast and very helpful friendly owners. 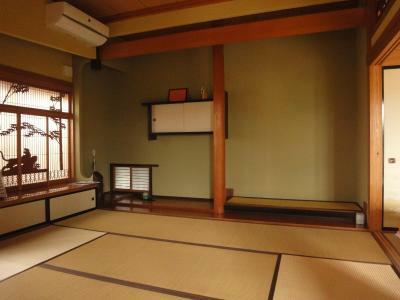 Spaceful room in traditional Japanese style. Host couples are very kind and helpful, speak English. We enjoyed the home made breakfast very much! The hosts, Mr and Mrs Yamada, are very friendly and sweet. Their Japanese breakfast is yummy and the futons are comfortable. Best B and B ever! The hospitality was outstanding. The hosts went out of their way to make sure we could see all the sites and even drove us to some further afield the next day, so we were able to do more than we had anticipated and more easily. The sites were interesting and settings attractive. Our stay coincided with autumn colors which was lovely; also it was not busy. Very delicious breakfast. Close to Motsji temple. Very big room for me. Shower and toilet are very clean. The host were too kind. I really enjoy having time in this small cute town. I love riding on a bicycle around the town. Great hospitality shown by the hosts. Sumptuous breakfast prepared by them too. 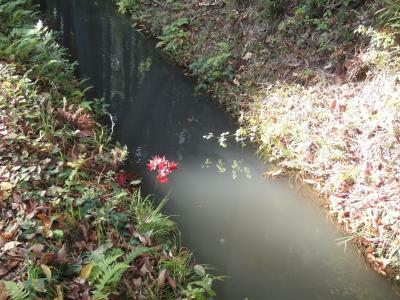 Place is walking distance to Motsu-ji. Extremely friendely hosts, we felt "at home". 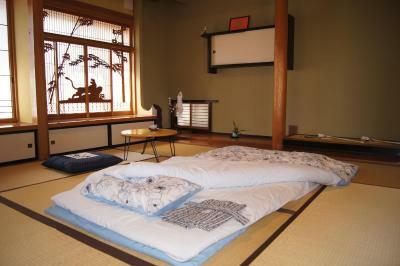 Very large bedroom with sitting room in pure japanese style. Very good and healthy breakfast. We didn't try the onsen (5' walk) but enjoyed the nice bathroom. Wonderful and helpful hosts. They helped to pick us up from the train station and send us there on our departure date. The rooms were clean and comfortable. They made great healthy breakfasts and we enjoyed conversing with them. 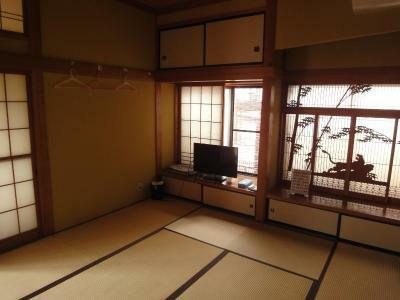 Located 350 yards from Motsuji Temple, 1.5 miles from Chuson-ji Temple and 3.7 miles from Takkoku Seikou-ji Temple, Minpaku Hiraizumi features accommodation set in Hiraizumi. Guests are welcome to enjoy the free WiFi. The bed and breakfast comes with a satellite flat-screen TV. An Asian breakfast is available every morning at the bed and breakfast. 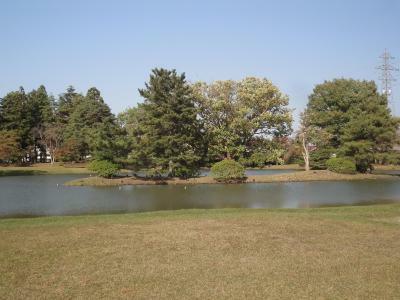 This property also has one of the best-rated locations in Hiraizumi! Guests are happier about it compared to other properties in the area. 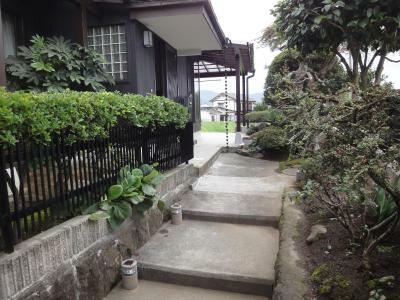 This property is also rated for the best value in Hiraizumi! Guests are getting more for their money when compared to other properties in this city. 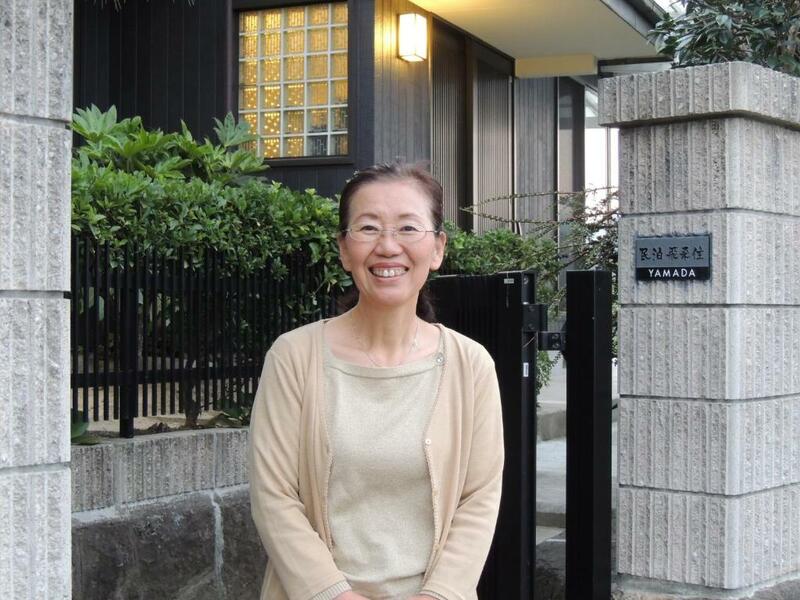 Minpaku Hiraizumi has been welcoming Booking.com guests since 11 Dec 2015. 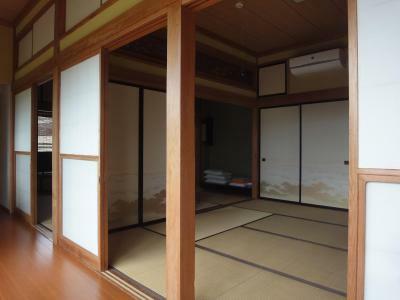 When would you like to stay at Minpaku Hiraizumi? This family room features air conditioning, washing machine and dining area. House rules Minpaku Hiraizumi takes special requests - add in the next step! Please inform Minpaku Hiraizumi in advance of your expected arrival time. You can use the Special Requests box when booking, or contact the property directly with the contact details provided in your confirmation. I can't think of anything I didn't enjoy about our stay here. The host really are amazing. The very comfortable futon and the huge room. 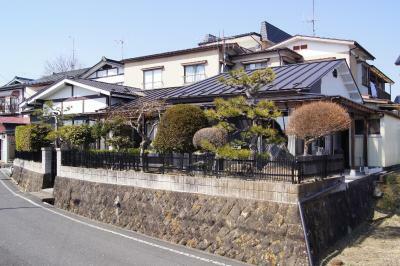 A minpaku is a home that a private person rents out. In this case, a kind couple rents out an extension in their house. The extension is private with its own hallway, rooms, and toilet. Yamada-sama, the couple, is extremely helpful, kind, but respects your privacy. They picked me up from the train station and drove me to Chūson-ji Temple, the main sight in Hiraizumi. The temple is a 20 minute walk from their home. They also made dinner reservations for me, picked me up from dinner, and drove me to the local onsen - which has a large hot bath and small sauna. Very clean and relaxing place. 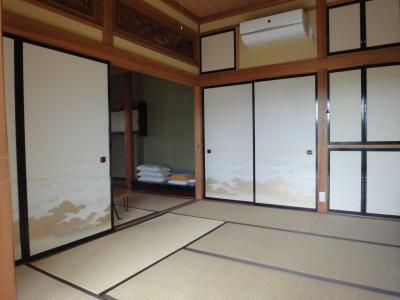 The rooms they rent are furnished in traditional style with tatami mats and a comfortable futon. 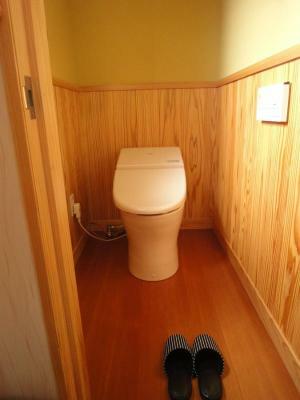 There are good amenities, like a nice bag with towels, a toothbrush, and toothpaste and, of course, a modern Japanese toilet seat. It’s a unique experience and the Yamadas clearly care about making sure their guests enjoy Hiraizumi and feel comfortable in their home. They also speak some English, so communication shouldn’t be an issue. Before my departure, Yamada-san made a lovely Japanese breakfast - grilled fish, ohitashi, miso, rice, pickles, plus yogurt, and japanese seasonal fruit (kaki persimmon etc. Although bananas aren’t Japanese ;-)). They drove me to the station with my overpacked luggage. Simply a wonderful stay. Highly recommended. It's run by a nice couple who are very accommodating. I was walking around town in the rain, and despite an umbrella I got a bit damp. So I asked if they could provide laundry service. They didn't really, but she washed my clothes with their own washing machine and helped me hang it out to dry and an extra fan to speed up the process. Later that night helped me get to my dinner place and the local onsen. All for a very reasonable price. Hard to find good restaurants around the area. Lovely kind and friendly hosts; beautiful house in a quiet neighbourhood, with a part set off for guests. Very comfortable futon, I would rate this place higher than ten out of ten. Among the best minshuku inJapan. The futons were a bit thin. Everything, the hosts speak really good English and are extremely friendly!